The movement in support marijuana legalization has swept across the United States of America. This November, nine states will be voting to expand access to legal marijuana for both medical and recreational use. 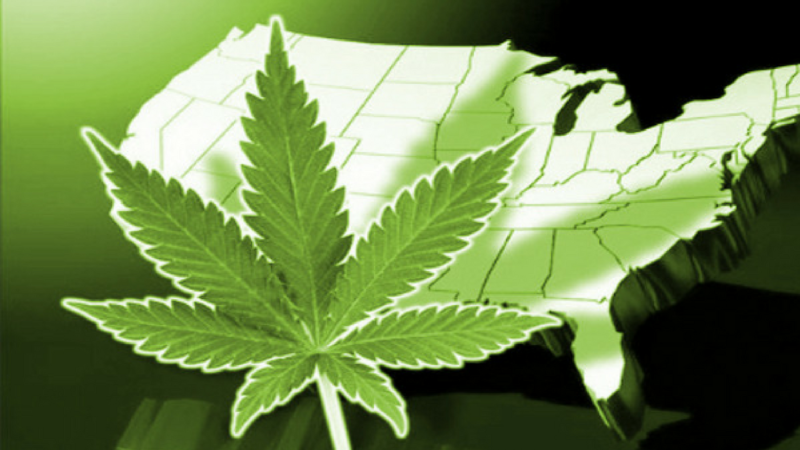 Objective News Report has taken a close look at the impact of marijuana legalization in states such as Colorado and Washington to determine whether or not national marijuana legalization would be a positive thing in the United States. Perhaps the best place to look to see the impact that national marijuana legalization could have is the state of Colorado. Colorado legalized recreational marijuana nearly four years ago on November 6, 2016. Since then, the state has seen a growing economy, a large increase in tax revenue, and a decrease in crime rates. According to the Marijuana Policy Group, marijuana legalization has had a $2.4 billion economic impact on the state of Colorado. The study found that marijuana legalization produced $996 million in sales while creating over 18,,000 jobs. This finding clearly dismantles one of the main anti-legalization arguments that legal marijuana would create a lazy populous who are too busy smoking pot to go to work. On the contrary, legal marijuana has created jobs. The study also found that marijuana sales generated a lot of tax revenue. The report found that tax revenue rose over 91% from 2014 to 2015. Colorado has decided to use some of the additional tax revenue to fund anti-bullying programs in dozens of public schools. The additional tax revenue should not really surprise anyone, but the overwhelming success of marijuana sales and the tax revenue it creates should encourage other states to follow suit. Now, this is not to say that marijuana legalization has caused crime rates to go down — that would be absurd. In fact, crime rates are mostly declining nationally, and Colorado is no exception. And although we cannot demonstrate a casual link between marijuana legalization and decreased crime rates, we can clearly see that the legalization effort has not led to a massive increase in crime. Though there is not as much data available, it is clear that Washington has reaped similar rewards to Colorado due to marijuana legalization. Washington has generated millions in tax revenue from marijuana sales. These taxes were generated from the more than billions of dollars in sales since marijuana was legalized in Washington in 2014. Also similar to Colorado, the state of Washington has seen a decrease in crime rates. Of course, marijuana legalization has not been entirely positive. One of the biggest problems states saw after legalizing marijuana was the misuse of edible marijuana products. A few deaths were linked (not caused) to overdosing on edible marijuana products, resulting in a lawsuit. Unfortunately, often times when marijuana is found in the system of a criminal, the crime they committed is blamed on the marijuana. For example, in a case where a man killed his wife after eating edible marijuana, the children of the couple filed a wrongful death lawsuit against the corporation who produced the edible product. These instances, although incredibly rare and almost certainly not the direct result of marijuana use, have left many skeptical of the safety of edible marijuana products. In response to issues with edibles, states like Colorado and Oregon put new laws into place to better regulate edible usage and protect consumers. Marijuana legalization is often not taken as seriously as other ballot measures, but national marijuana legalization would bring the disastrous “war on drugs” to an abrupt end. Popularized by Richard Nixon in the early 1970s, the “war on drugs” has come to be associated to the regressive, zero tolerance attitude the United States has taken towards even drug possession, even in the smallest of quantities. The “war on drugs” has had many serious ramifications, including black markets, mass incarceration, three strikes laws, high recidivism rates, and the private prison industry, all of which have disproportionately affected minority communities. For a good analysis on how the “war on drugs” has disproportionately impacted minority communities, read The New Jim Crow by Michelle Alexander. National marijuana legalization won’t be happening this year. However, the states of California, Nevada, Maine, Massachusetts, Arizona, Florida, Arkansas, Montana, and North Dakota all have ballot measures to expand access to legal marijuana. If other states can see the economic successes that Colorado and Washington have enjoyed, then national marijuana legalization is a common sense decision.